Academic achievement is critical for opening doors to adulthood success. Not only does academic achievement teach children the skills they need to find success in careers and life, it also provides them with opportunities that would otherwise be denied. More and more, we’re realizing that academic achievement isn’t something a child learns to do in high school. The foundations for that achievement are proving to be laid far earlier – as early as preschool. One Penn State study has found compelling evidence that children’s executive functioning skills are dramatically improved when they are involved in a quality preschool education, leading to greater academic achievement later on. On the surface, early learning doesn’t always seem like much. After all, it involves rudimentary principles — ABCs, 123s, colors, shapes, etc. But mastering these concepts, and more, creates the building blocks of future success. Neuroscience research shows that 90% of a child’s brain develops by age 5. These years are a critical time for the correct connections to be made between brain cells. In fact, at least one million new neural connections are formed every second, leading to more and more complex connections. With that much development and brain activity happening in early years, the right preschool education will set your child up for success and a high quality of life. Sadly, children who don’t have access to quality education fall behind. A child living in poverty can fall 18 months behind developmentally, as compared to those who are not in poverty. One thing that is missed when quality early education is not on the table is a focus on executive functions, which Penn State researchers found to be crucial. When early education involves a focus on executive functions – teaching children to focus, prioritize, control their impulses, and more – children are better prepared to thrive in a classroom environment, and more equipped to comprehend instruction and make deeper connections. Conversely, a child living in poverty who misses out on quality preschool programs falls behind during those critical brain-developing years. As a result, these children often struggle with academics throughout their life. Imagine a child with access to quality preschool education who learns letters, shapes, sounds, and how they work together. That child will have an easier time learning to read and will meet milestones throughout all of his or her education. A child who is denied the same preschool education, however, will struggle with the fundamentals of reading and will begin to miss milestones when entering the public education system. The child will fall behind further and further as time goes on and concepts are missed. What begins as a little problem in elementary school turns into serious lagging in middle school and potentially dropping out of high school. The importance of quality early learning and preschool programs that focus on executive functions can’t be overstated. Starting off on the right foot allows children access to countless opportunities. Executive functions are critical for successfully learning concepts. Executive functions are mental skills that help you manage your life and get things done. These functions are governed by the prefrontal cortex, which is still developing in the preschool years. The preschool years are the ideal time to develop and nurture these functions. Children need executive functions like focus, prioritizing, problem solving, emotional control, working memory, and more to help them pay attention to lessons, interact with peers and teachers, and develop knowledge that sticks. In the Penn State study, researchers developed a preschool program (the REDI program that worked in conjunction with the Head Start preschool program) to help build executive functioning skills. They then measured the levels and progress of those skills from preschool until 3rd grade. 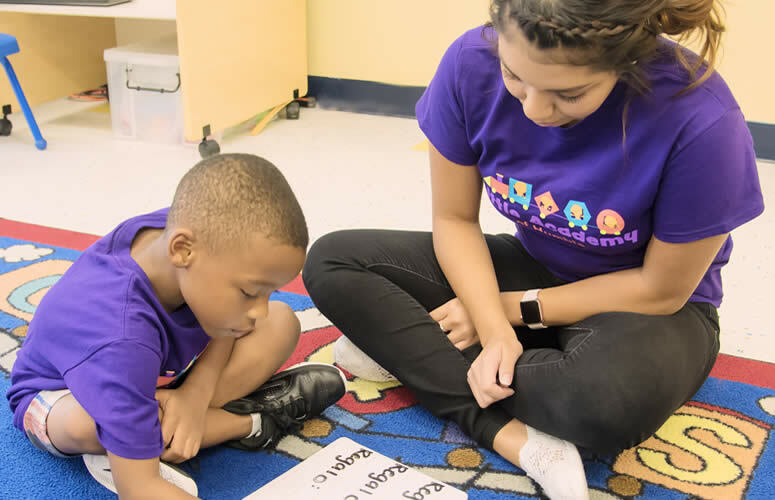 In addition to regular preschool instruction provided through the Head Start program to low-income children, the REDI program aimed to improve social skills, emotional skills, and early literacy and listening skills. Children were introduced to executive functioning skills – like friendship skills, emotional control, listening skills, and more – through the use of puppets, storytelling, and other methods. 356 children participated in the study, with 192 receiving instruction through the REDI program and 164 receiving instruction through the traditional Head Start curriculum. Each year the children’s executive function and academic performance was measured and compared. Through five years of research and monitoring, researchers found the children who began in the low executive function group showed greater growth in executive functions if they had participated in the REDI program. Not only that, these children also showed better reading fluency, math performance, and more than the control group. When executive function is lacking, it’s difficult for children to regulate their behavior, focus on schoolwork, form important connections, make friends, and more. All of this contributes to a difficult time learning academic skills. But as the Penn State researchers found, when a preschool program builds executive functioning, children have a better chance at academic success. Quality preschool education not only helps kids learn ABCs and 123s, it sets them up for a life of educational success. Having the skills to remember what they’re supposed to do, how to prioritize tasks, control emotions, and more is undeniably beneficial for a child at any age. It’s especially beneficial when that child can continue into adulthood with these skills under his or her belt. At Little Academy of Humble, we focus on developing the whole child in our preschool program, including executive functions. We know this path is the best way to start your child off on the right academic foot. Please give us a call at (281) 459-3378, or contact us online for more information.